Camping Sleeping Bag Just $29.74! Down From $98! PLUS FREE Shipping! You are here: Home / Great Deals / Camping Sleeping Bag Just $29.74! Down From $98! PLUS FREE Shipping! Amazon is currently offering this Camping Sleeping Bag for just $29.74 down from $97.99 PLUS FREE shipping! 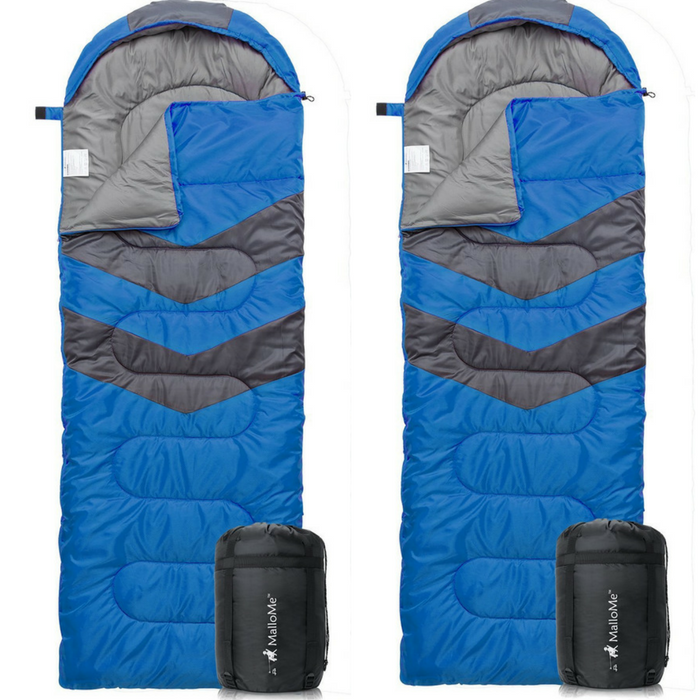 The versatile temperature rating, generous and roomy sizing, and gogeous design of this sleeping bag, allows it to be your year round go to sleeping bag inside or outside your home. You will enjoy the quality and comfort of the MalloMe Single Sleeping Bag with various colors to choose from! These bags are 80 inches wide (compared to 70-75 Inch wide competitors) to allow you a good nights rest. The polyester pongee is specifically designed for added comfort and to keep you warm when you need it most. EXTREMELY COMFORTABLE SLEEPING BAG!! MalloMe sleeping bags are designed to provide much needed rest after a full day of outdoor activities. It is made so that no matter how hard and rough the ground is, your sleeping bag will always be comfortable. GREAT FOR ALL SEASONS – These sleeping bags are designed so that it will keep you warm and safe even in near-freezing temperatures. The sleep bags also have a waterproof, weather-resistant design to keep you warm even in wet weather conditions and prevent you from getting damp – this is attained through our double-layer technology, our hexagon shaped fabric, and our S-shaped stitching. DURABLE, LIGHTWEIGHT AND SKIN FRIENDLY- The highest grade 100% polyester material is used to ensure the bag is lightweight, durable, and easily portable. No more lugging around excessive weight in your backpack. The material is also gentle and soft on your skin.